Destination weddings have exploded in popularity due to the creative idea of getting married on your honeymoon. Couples have been drawn to this idea in their eagerness to skip the elaborate expensive traditional wedding and jump right into their honeymoon dream, full of fun in the sun, adventure and relaxation. Also on the plus side, many resorts offer full-service wedding coordinating which takes care of everything from the flowers to the marriage license, to the champagne glasses, to the cake. They will take care of everything from the ceremony to the reception and of course the honeymoon suite. Everything is planned and taken care for the wedding couple before they arrive. 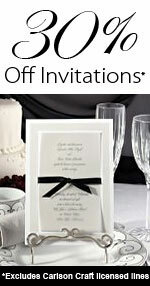 •	Couples on a tighter budget who do not want the expense of a large wedding. •	Skip the stress and get right to the fun. •	Second marriages with children, making a vacation out of it will be more family friendly and may join the two families on a comfortable level. •	Having someone else plan every single aspect of your wedding may be exactly what you want and need. •	Having a destination wedding will give you more time in your honeymoon atmosphere. However, if the idea of a large wedding is what you have dreamed about having, then a destination wedding may not suit you well. Even with a full year of planning it is next to impossible to get everyone’s schedule coordinated to make it to a destination. Smaller parties and family weddings are much easier to plan around when doing a destination wedding. Most resorts and hotels are set up to close down a large area or part of a certain area for your special occasion. Of course the space available will vary by season and month for every hotel or resort. Make sure you check with each resort or hotel about the facilities that would be available for your wedding before deciding which one will host your special day. When renting out the entire resort, then the regular rules of the resort may not apply, meaning guests of all ages will be able to attend, so you can invite everyone you desire, which is wonderful for family weddings. No one will have to be excluded because of age. Research the marriage laws of the state or country where the wedding will take place, if you are choosing the destination style for your wedding. Obtaining a marriage license varies from state to state and different countries have different rules and regulations. Some of the other items to research are the cost of the marriage license and what proof of I.D. is needed. If you’ve been divorced or widowed there may be necessary documentation to show proof of current status. Check whether your country or state will see the license as valid once you’ve returned home. Check whether blood tests are needed and if they are, have them done by your doctor and then take the proper paper work with you to the destination. Aside from these suggestions, do all the additional research you can to see if there are any other unusual requirements, it is better to be safe than sorry. One more tip: make sure there is a representative that speaks your language to help you out with the paper work and last minute planning process. Every wedding has last minute details, however, destination weddings will hopefully have less. The key to planning a successful destination wedding is to stay in good communication with the hotel or resort planner. Even though most on-staff planners are experts on destination weddings the biggest help for them and you is to stay in good contact with each other throughout the entire process.